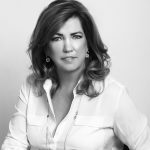 Dr. Pippa Malmgren: Signals = Central Bankers Desperate For Inflation to Fight Deflation - Wall St. for Main St.Wall St. for Main St.
Pippa is the founder of DRPM Group and she is also CEO of a new venture, a drone/unmanned aerial vehicle (UAV) company. Jason starts off the interview by asking Pippa about her book Signals and how she talks at length in the book how Wall Street and the Federal Reserve have an a religious belief in mathematical economic models that are clearly broken. Jason asks Pippa if negative interest rate policy was in her central banking textbook? Pippa talks about how the Federal Reserve and other central banks will continue to come up with crazier and crazier policies in order to get more and more inflation. Jason and Pippa discuss why DC politicians and central bankers believe in intervention and the real world solutions to an improving economy lie in small business and entrepreneurship. I couldn’t make it through your interview thanks to your guest doing who know what else while you two were talking that created way too much background noise. She should have had the decency to sit still and do your interview without doing all of the noisy tasks at the same time. What was she doing, putting away the dishes and making herself a drink while multitasking during the interview? Amusing but annoying. I didn’t need the whole 40 minutes as I couldn’t make it past 15 minutes !! Rude.